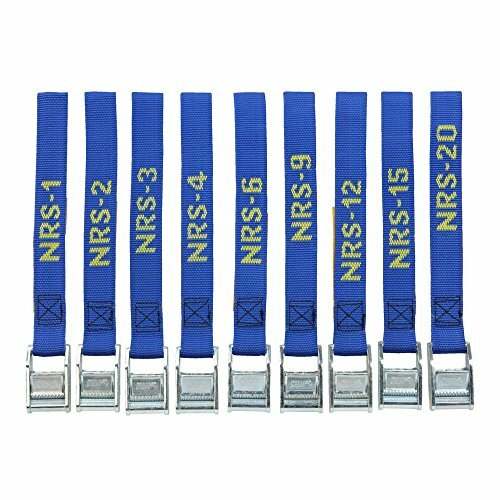 Since NRS introduced Heavy-Duty Cam Straps to river runners over 20 years ago, they've been used for virtually every hold-down application. These straps use 1' polypropylene webbing with a tensile strength of 1500 lbs. The cam buckles offer a tensile strength of 2000 lbs, and are attached to the strap with a military-spec 'box tack' for further durability. 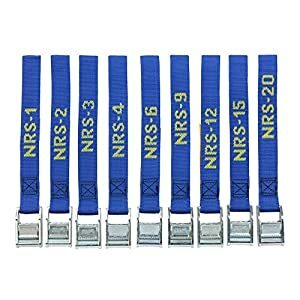 For ease of identification, the length of the strap is woven in the webbing.Whether you're attaching your boat to your vehicle or your frame to your boat, NRS straps won't let you down.